We all pay attention to the golf superstars and the winners of last weekend’s tournament. They get all the headlines. But sometimes better stories are buried deeper in the news. If they make the news at all. Adam Scott is having a great year, in spite of the rule change that required him to give up the long putter that had served him so well the last few seasons. Another challenge for Scott this year was having to find a new caddy to replace Steve Williams. Williams had been Tiger Woods’ caddy for a very successful twelve year run, then had more big wins with Scott before retiring last year. So who is Scott’s new caddy and how is he doing? The new guy, David Clark, had been a PGA Tour caddy for eight years, but had never won a tournament. 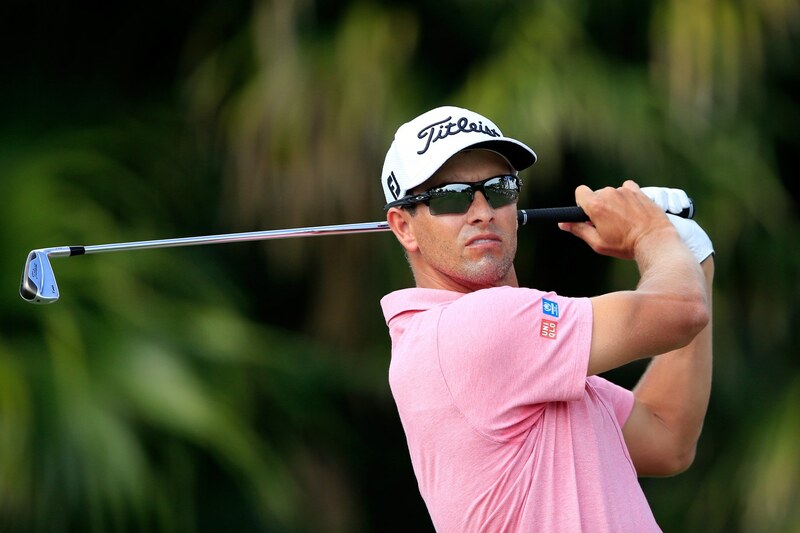 He started two weeks ago and Adam Scott immediately won two tournaments in a row. It seems they found the magic of a good partnership. Especially when you realize that Scott had some terrible holes in both tournaments, but then recovered to play great golf and win. Interestingly, Scott is going back to Steve Williams for the four Majors this year. Easy to understand, even for David Clark. Williams was on the bag for 13 of the 14 majors that Tiger Woods has won and was with Adam Scott when he won the Masters in 2013. The important thing is that he didn’t give up or get down on himself. Doral is called the Blue Monster for a reason (Unfortunately, it is now conspicuously re-branded as Trump Doral by its new ego-obsessed owner). It’s a course that punishes every errant shot. Bowditch still made $48,000 for the four days and was finished early, so he could head to the practice tee and work on preparing for the next event. You may have to change tools, tactics and technologies, but talent and hard work can still make you a winner. Choose good partners that complement what you do best, give you honest feedback and help you make better decisions. Check out Uncle Ralph’s books, "Don't Do It the Hard Way" and "The Complete Do-It-Yourself Guide to Business Plans" Available online or at your favourite bookstore in hard cover, paperback or e-book.